I think that most members of EC are aware of who Bob Ostertag is. If not, I strongly suggest that you check out his Bandcamp page, where all of his material is available for 'pay what you want'. It really doesn't matter which album you start with, because all are very different and all are superb. "Thanks to Hank" is the story of a gay saint, a liberation movement, a plague, and an approach to gay activism that puts poor people first. We are making this movie Hank Wilson-style, on a shoe string, using community resources wherever possible. Much of the work is being donated. The Kronos Quartet, Carla Kihlstedt, and Mark Orton are all donating their music. Some videographers have donated their skills. I really hope some of you will support this, or buy an album of Bob Ostertag! Either way, it's not a waste of money. a little advertisement for Aural Films, never hurt anybody. 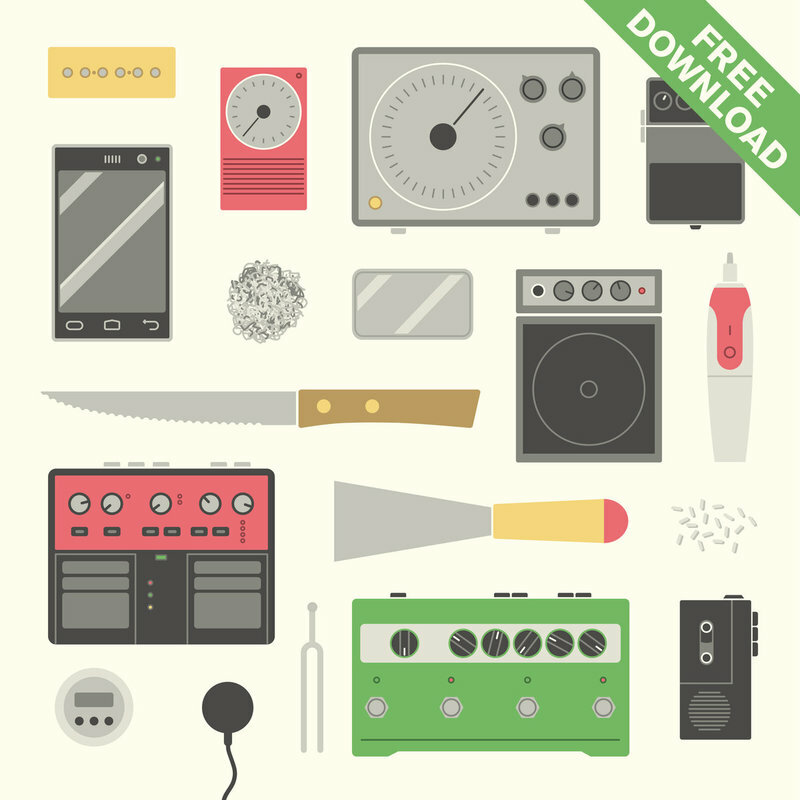 Solos, Duos, Trio at Bandcamp and make you buy the album for a 'pay as you want' price! Ok here I go, the album starts very strong with 'The Creeps', a slightly industrial composition/drone of William. If I may throw in a first comparison... Machinefabriek, comes to mind! 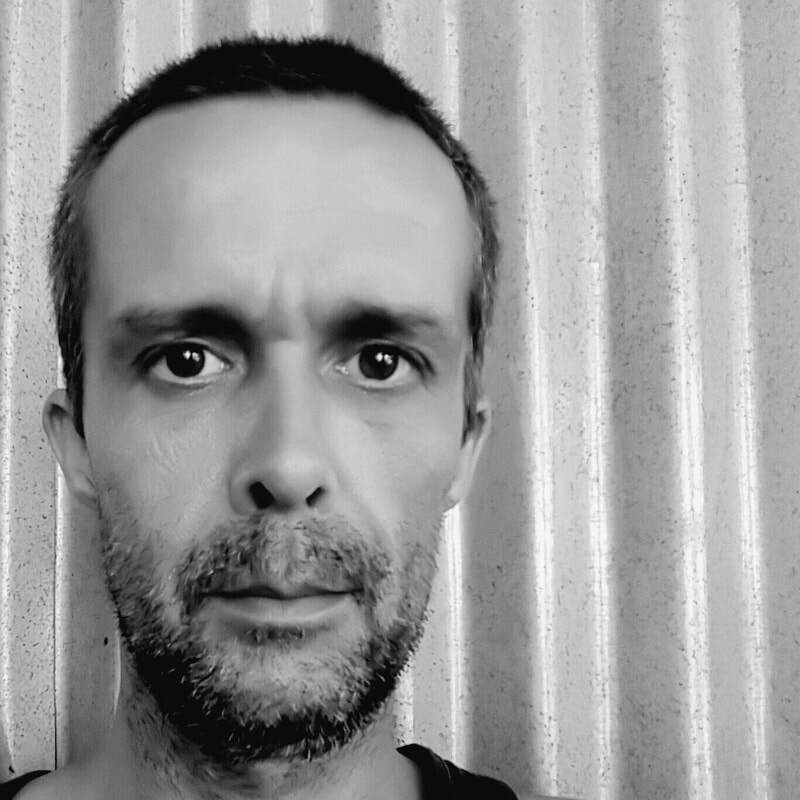 The second composition, 'Sue§o', is from Wilfried. A more ambient-piece, with a reverb/delay guitar and synth (that would be my guess), that gets a little more threatening half way through the song. And, I don't know if they planned it, but it is a perfect introduction to 'Preparations of the Blood Moon', Glenn's solo composition. This song, makes the industrial feeling stronger again (Z'EV comes to mind) and that feeling remains in the next 3 songs. 'Shovelling Glass', 'Some Thing or An Other Thing' and 'Beyond the Boundaries of the Remit', those are the 3 duets that the gentlemen did. For the regular EC-readers, remember a while ago, the show that Swami Loopynanda did about Klaus Schulze? Well, that is who those 3 duets remind me of. That's the last time, that I will compare, I promise! 3 different combinations of musicians, but these 3 songs form one whole. 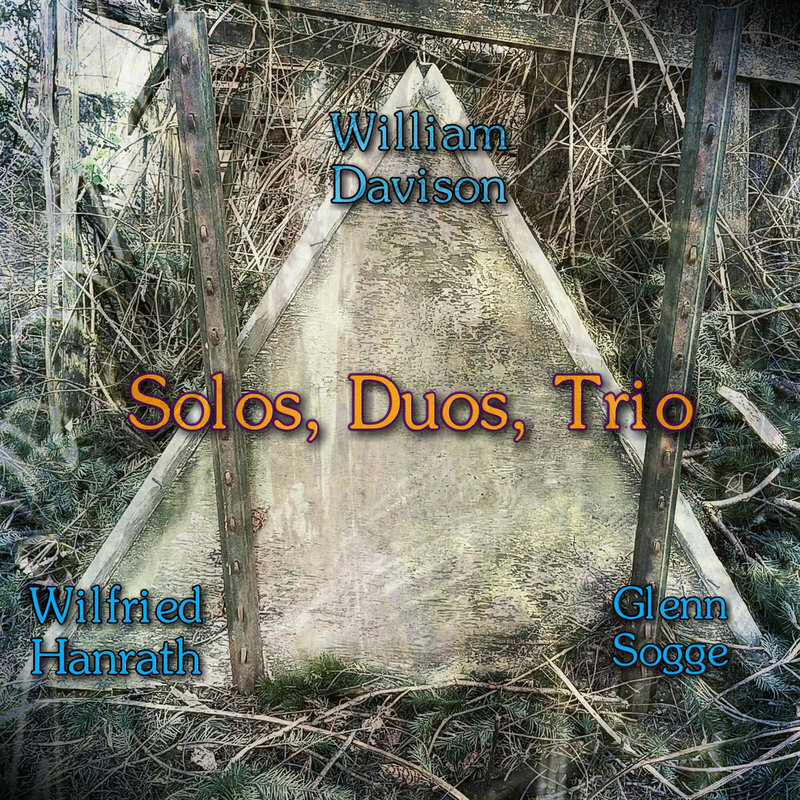 The last song, the trio piece, conveniently called: 'Trio Piece', is a strong ending of a superb album! That's all I have to say about that! And, as you all know, I have an exquisite taste in music, so go and buy this album and support your local artists! 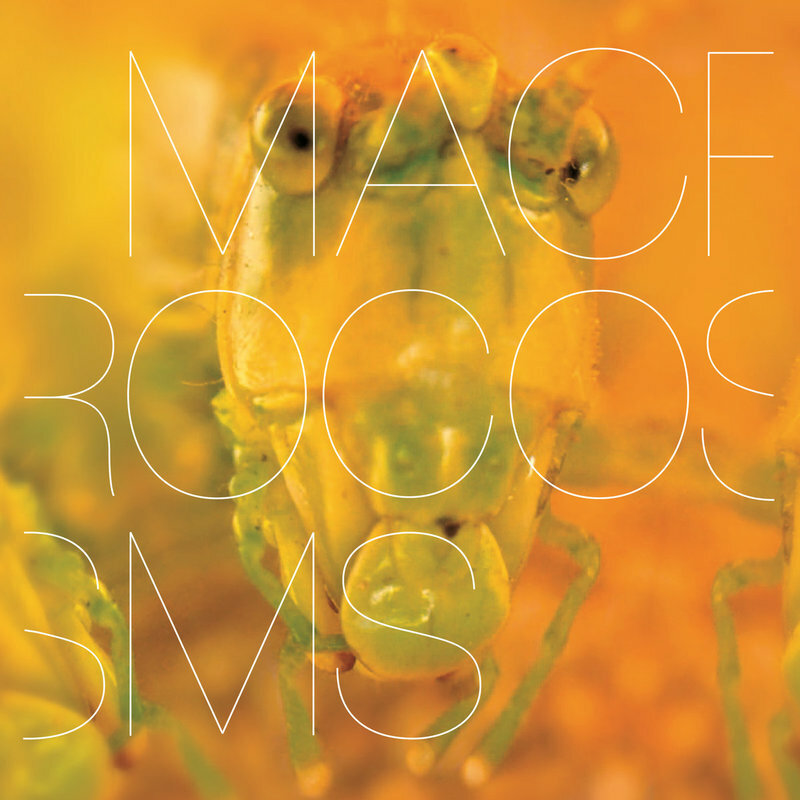 Cover image of the album: Glenn Sogge... I do wonder if the picture is taken in his garden. ​I asked him if it was possible if he could provide us with an audio-version of him reciting the poem. ​In the back of my mind, I kinda hoped that Hal would propose that all of us made our own version, reciting the poem. ​I hope I did it justice. I added some improvised music and used some Flemish (Dutch) words. Looking forward to hearing everyone else's version! 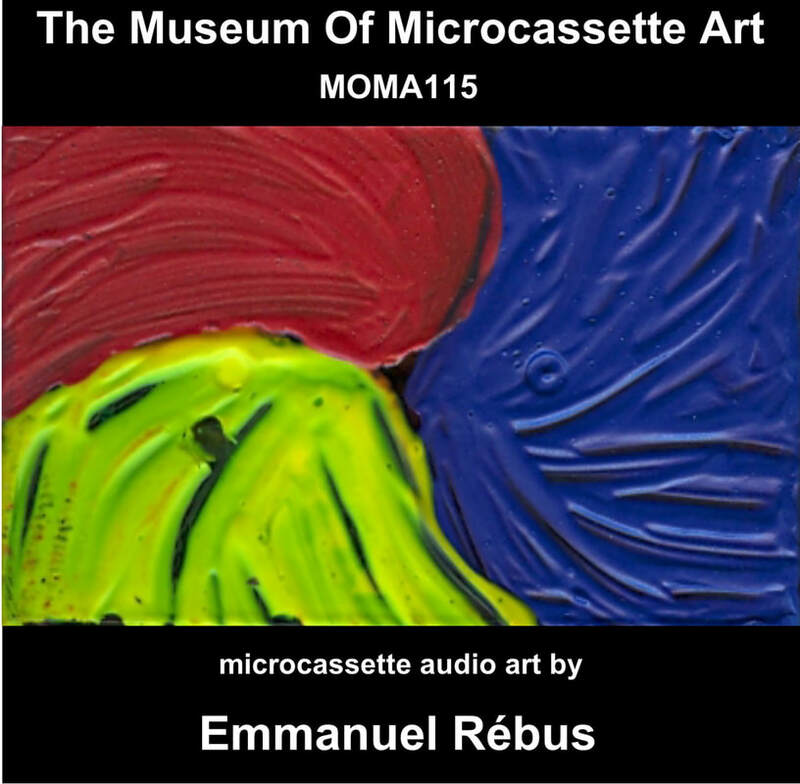 About a year ago, I discovered the MOMA (Museum Of Microcassette Art) project, which definitely doesn't need an introduction, or does it? Now, I never listen first to what I buy. 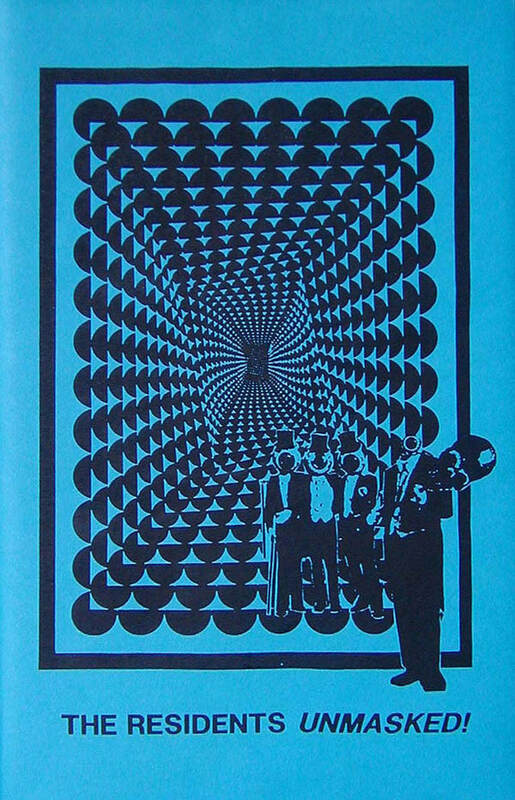 If the cover attracts me, or what is written about it (in this case by Hal), I just buy it. Most of the times, my feeling is correct and sometimes, well, I end up with crappy music (in general, I am not talking about MOMA). One of the MOMA-recordings that didn't attract me at all was MOMA093, from HAR$, titled 'Sketches for String Quartet with Windows, Open'. But for some strange reason, I always got pulled back to reading about that recording, again and again, until I finally decided to give it a go. And I haven't regretted it at all! It quickly became one of my favorite MOMA-albums. 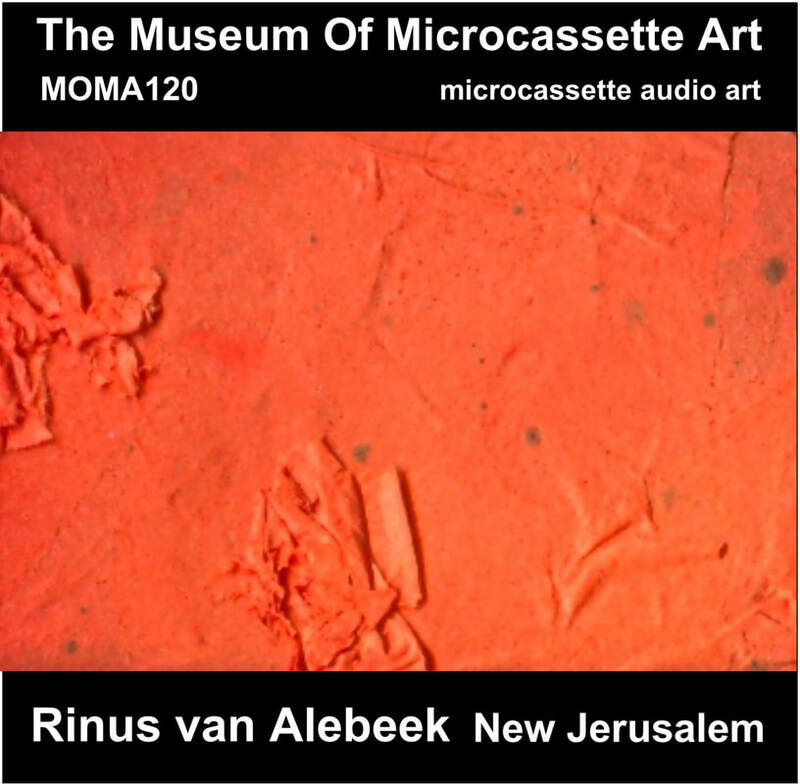 Another one of the MOMA-albums I kept postponing to buy is MOMA120, from Rinus van Alebeek, titled 'New Jerusalem'. There wasn't really a description of the record and the word 'Jerusalem' kinda scared me away also. But again, for some strange reason, I got pulled back again(maybe the orange cover) and I decided to buy it and once more... no regrets at all! It quickly became one of my favorite MOMA-albums. Guess, what I want to tell about MOMA115? Yes, the one from Emmanuel Rébus, with no particular title... Indeed, the same story, no attraction at all... but I kept on going back until I finally decided to buy it and yes... It quickly became (and so on). When something gets my attention, as the three previously mentioned albums did, I have the habit to learn/read more about the artists in question. 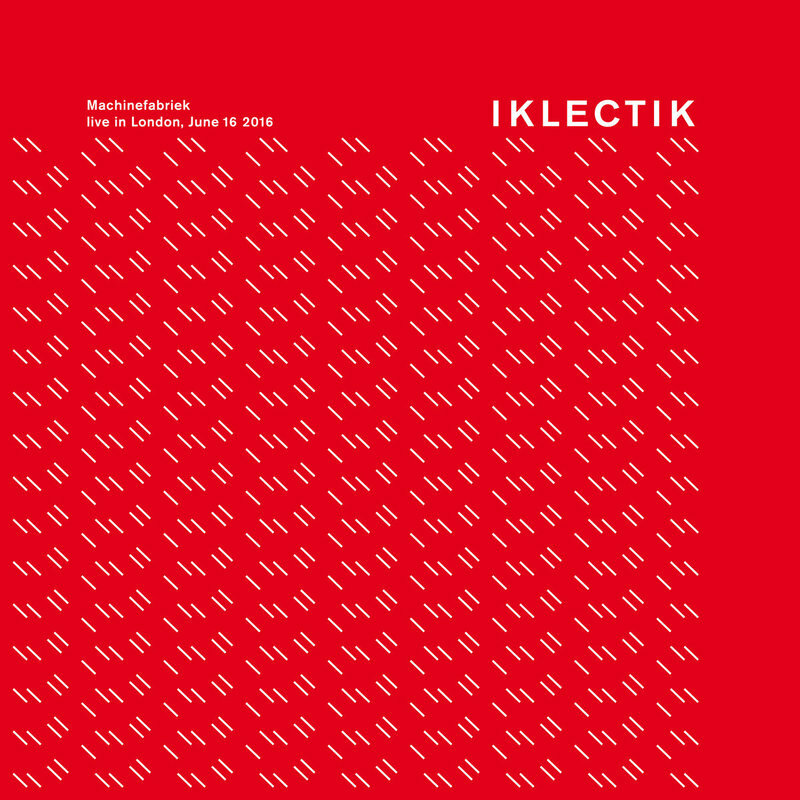 And so, I found out that Harold Schellinx (HAR$), Rinus van Alebeek, Emmanuel Rébus and a fourth companion, Jean Bordé, make music together as DIKTAT and it is amazing! Mr. Bordé plays double bass and the three others play dictaphones! 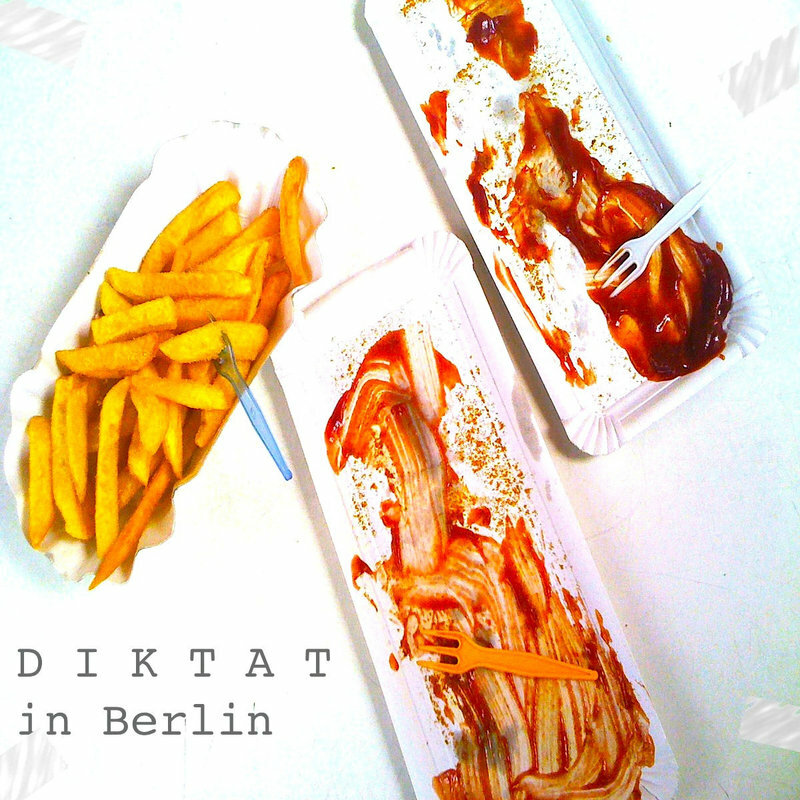 This is how Mr.Schellinx explains it himself: "If you would have the chance to hear Diktat play more often you will hear that the same voices and snippets of talking come back in a different setting." So, he doesn't see Diktat as a group that performs and performs, but as a piece of music that has different instantiations. Each time they perform, is a different instantiation of the piece DIKTAT. If you think that I am finished with talking about Mr. Schellinx and companions... wrong! A while after my discovery of DIKTAT, I found out that he has this other thing going on, called 'unPublic'! He explains it himself as: "The only difference with a concert is, these are not concerts"... 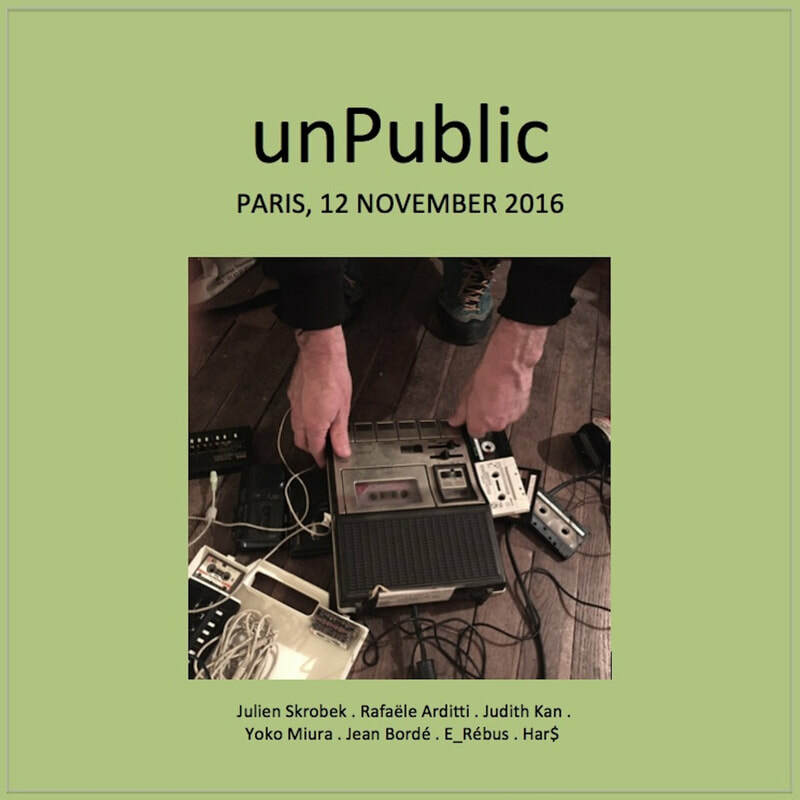 The first 'unPublic'-session they had was in Paris, on 18 October 2013. Again, the same names Jean Bordé (double bass, toy piano), Emmanuel Rébus (melodica, dictaphones), HAR$ (iPad/electronics, dictaphones) and joined by Doan Tri Minh (laptop/electronics, piano, toy piano) and Yoko Miura (toy piano, melodica, piano)... check it out! I love the concept and the music of course, judging by the unPublic Bandcamp account, I think I am their biggest fan (and almost only fan). The point of my little story... not every story has to have a point! Let's go back in time a little for my first scribbles on Electronic Cottage. September 1987, that's when Gerry (classmate) gave me a mixed-tape of The Residents (side A had The Third Reich 'n Roll album and side B various songs). You can imagine the look on my face (at age 14) when I found out that music like that existed. Needless to say, I got hooked immediately and the following Saturday I went to town and bought everything that I could find of them. Remember the time that they still had real record stores? The smell of a record-store, the vibes inside the shop, I will never forget it, punks/rockers/skaters all side by side, each looking for their own little gems, CD-shops kinda ruined that one for me. Soon, I became a little collector of anything and everything I could get my little hands on... I started writing them (Ralph Records) and I even got some personalized items in the mailbox! I spent a small fortune on them back in the days, I got so deep into The Residents, that if I became a little deeper... I would be a Resident. I even had The Warner Bros. Album years before it got officially released. Let's be honest, everything they made in the 70's, simply amazing! The 80's same-same/but different, no other band even came close in producing such an amount of great albums! Ok, I didn't really like the Commercial Album, but that's a matter of taste. But then, only three years after I got to know them, they came out with Freak Show... I didn't get it, it sounded really boring to me. And unfortunately, I have had that feeling ever since. Why I am writing this? Because, I wonder if other people have the same feeling about The Residents or maybe I am looking for someone who can convince me to listen to a certain album of them after 2000? And why, why, why did Hardy Fox come out??? What happened to being anonymous?! Did he want to make more money as a solo-artist? To end my little rant, I want to say that I still have the utter most respect for the Eyeballed Ones! From 1972-till present, not many bands can top that! But in my humble opinion, as a collective... they could've existed forever! But then again... maybe they will. Post-scriptum: Hell No! I will not stop making music!